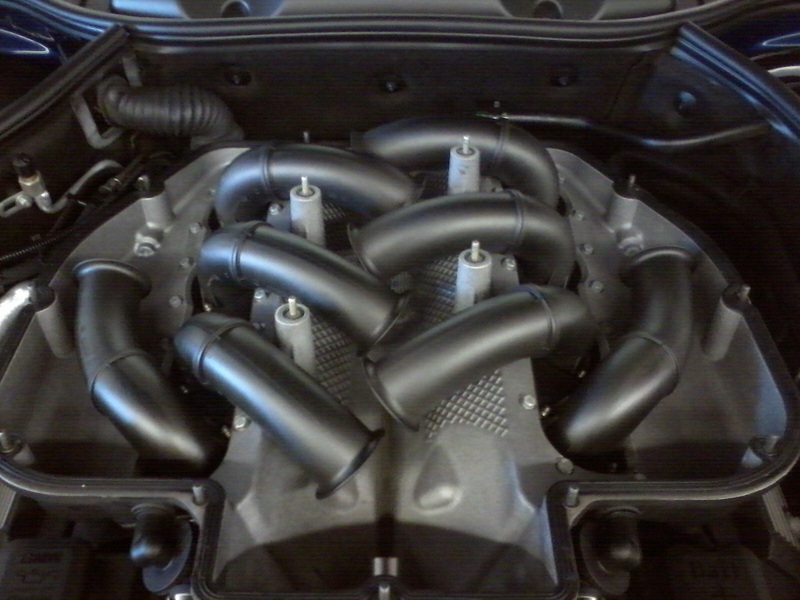 This is a pic inside the air box on a E39 M5 S85 engine,,,,I always thought this was the coolest looking thing,,,,also a work of art,,,,,the way all the intake runner horns bent and twist all to find the same amount of air,,,,,for each cylinder,,,,,I think it kind of cool,,,,,when you take them off,,,,you don’t have to mark them to find out where they go,,,,because it’s kind of obvious on how they go back on,,,,,it’s like a puzzle,,,it only goes back together one way. This entry was posted in Uncategorized and tagged intake horns, S85. Bookmark the permalink.